What does pet sitting with a family involve? PET SITTING WITH A FAMILY - WHAT IS IT? Established in the UK for several years, pet sitting with a family originates from North America. It’s a pet sitting option which more and more pet owners are opting for. They’re attracted by its simplicity and the fact that their pet can stay with a friendly family – offering a contrast to kennels or catteries. As mentioned before, pet sitting as an option is definitely on the increase thanks to its simplicity and the possibility of offering your pet a stay in a friendly, family atmosphere. So if this sitting option interests you, here is some additional information about how it works. To carry out an effective search and find a suitable family as quickly as possible, you’ll need to create a profile of your pet. Information, such as the following, is vital to help potential pet sitters decide whether or not they can accommodate your pet: sociability with other animals, up-to-date vaccinations, sterilised or not, ongoing medical treatment etc. When you’ve found a suitable family, you can then arrange to meet with them in order to be sure that you’re happy with your choice. Likewise, it’s important to check out the home surroundings to be sure that this is suitable for your pet. If you have any doubts following your initial meeting, you can easily choose another family, who’ll be better suited to your needs and those of your pet. However if you were happy with the initial meeting you can go ahead and entrust your pet to the sitter until you get back from your trip. Sitting with a family stands apart from other pet sitting options as it offers a homely and friendly experience for your pet. The pet sitter who looks after your pet’s well-being while you’re away, will treat it just like one of his own. Your four-legged friend won’t be like just another animal in a boarding establishment but rather a new member of the family, who’ll participate fully in the sitter’s family life. And what’s more the sitter will be able to share all your pet’s happy experiences with its new family, by sending you regular photos and videos. 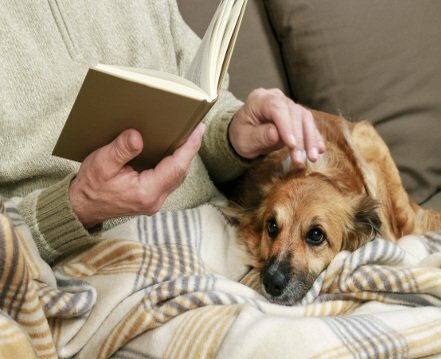 So even while you’re away, you can still find out what your pet’s up to, all of which helps your peace of mind.